Unlike most other private equity investors, Actis, Baring and India Value Fund like to acquire majority stakes in the firms they invest in. Why? In a business where more investments go bust than succeed, it is their way of managing risk and, hence, the returns. Shamni Pande finds out. 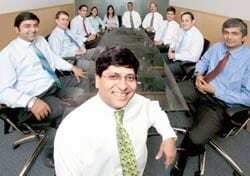 All of May this year, Baring Private Equity Partners India’s (BPEPI) Partner, N. “Subbu” Subramaniam was on the road. Starting with the UAE, the Gurgaon-based investor then hit London, followed by New York, New Jersey, San Francisco and then Los Angeles. By the time Subbu returned to Delhi, he had logged over 30,000 air miles. Nothing unusual for deal makers like him, except that Subbu wasn’t on a mission to raise money or find companies to invest in. Rather, he was making sales calls for the four companies in BPEPI’s Fund II. “I basically attempted to introduce portfolio company CEOs and regional heads to decision makers of potential customers,” says Subbu. For instance, he introduced the management of Infrasoft Technologies to banks in the UAE. Similarly, he introduced Integra Software to print and electronic media companies in the US. That apart, he reviewed M&A opportunities for portfolio companies and interviewed potential candidates to head sales/marketing functions. That Subbu should spend over a month globetrotting for Baring’s portfolio companies is a pointer to his firm’s investment philosophy. In a country where there were around 400 PE and VC firms, investors come in all shapes and sizes. There are those that are happy to take a minority stake in a private company, some even invest in publicly-listed companies, while some others buy out companies, never mind if they are listed or unlisted. But typically, most promoters rarely part with a majority stake in their companies. Therefore, venture investors have no choice but to settle for minority ownership. Yet, there are three PE firms in the country— Actis, Baring, and India Value Fund (IVF)—that like to invest for control. Why? In a business where more investments go bust than succeed, it’s their way of managing risk and, hence, the returns. Actis, which was spun out from CDC, has been investing in India since the mid-90s and has $700-million funds under management in more than 40 companies here. Baring Private Equity Partners, where the senior partners engineered a management buyout from ING Baring, advises multiple Indiafocussed funds that have invested multiple rounds in 25-plus companies over the last decade and today has about $1-billion assets under management. IVF, founded by Gary Wendt of GE Capital fame (IVF was GW Capital in its earlier avatar), has $650 million under management, and a portfolio that spans 16 companies in six different industries. All of them have significant holdings in their portfolio companies (see In Control we trust) and are staffed accordingly. IVF, for example, has 13 business managers who help portfolio companies with everything ranging from strategy to recruitment to sales. Baring, too, has over the recent years built a team of seasoned managers and, like IVF, has experts who provide back office support such as HR and finance. “We don’t measure our success by the number or the size of the deals we do; rather, we measure it by the quality of companies we help build,” says Rahul Bhasin, Managing Partner, BPEPI, who has “Ten (such) Commandments” pinned up at all the workstations in his Gurgaon office. As mentioned earlier, not every promoter fancies having a dominant investor on the board, but there are several who ‘need’ one. Says Ajay Shah, Senior Fellow, National Institute of Public Finance and Policy, whose research suggests that control-oriented PEs help improve performance of companies: “The typical Indian small firm led by a family or a group of friends is desperately lacking in knowledge about how to grow. The IVF-style mixture of knowledge and capital is a particularly appropriate one in India,” he says. That’s what Actis, which is a veteran of five buyouts in India, did by funding a management buyout at Phoenix Lamps in 2006 for $70 million. Says Rajiv Prasad, MD, Phoenix Lamps, a leading supplier of halogen lamps: “Actis’s contribution has been throughout the value chain—bringing forward suppliers to lower production costs and for quicker scale up; providing numerous customer introductions in India and overseas; providing us access to technology partners that helped us develop into a complete lighting solutions company from just a CFL manufacturer earlier.” Indeed, this is manifest in the way its top and bottom lines have grown: Its sales were at Rs 245 crore in March 2006, but grew to Rs 375 crore in March 2008. Its profit has more than doubled in the same period to Rs 48 crore. In fact, Actis bought control of Phoenix in 2006, but got regulatory clearance only in March 2007. IVF’s investee companies have similar grateful stories to tell. At Radio City, for instance, the firm was instrumental in wooing over Apurva Purohit in 2005; at Trinethra, a chain of supermarket stores in Andhra Pradesh, IVF helped ramp up growth by investing in IT and control systems, and keeping it focussed on the supermarket format. “We took a controlling interest in this business and realigned the business for growth by bringing in a very high quality management team led by Pranab Barua, (ex-HUL and ex-Reckitt Benckiser),” says Thomas. Perhaps nothing beats what Baring did at MphasiS BFL. Buying an ailing BFL Software from Keshav Bangur in 1998, Baring not just turned it around, but also merged it with Jerry Rao’s loss-making MphasiS (in which Baring was again the largest shareholder) a few years later. The company’s headcount has since grown from 130 employees in 1998 to over 27,000 today. Baring has sold most of its stake in the company to EDS making about 16 times return on its original BFL Software investment (of $11.4 million). It still retains an 8 per cent stake in the $1.2-billion company—MphasiS. Baring is now trying to do something similar with JRG Securities, a Kochi-based broking firm co-founded by three friends. Baring bought a 44.8 per cent stake last year for $35 million and has upped it to 46 per cent and plans to raise it further to 62 per cent by May 2009. Baring’s contribution has helped the firm hire 700 people in four months. “We’ve hired people from some of the top audit firms and persuaded them to move to Cochin,” says Bhasin, who’s also the chairman of JRG. Ultimately, the idea behind acquiring controlling stakes in portfolio companies is to better influence the investment outcome i.e., the returns. So, do Actis, Baring and IVF actually have better returns to show for all their trouble? Given that data on fund-specific returns is not publicly available in India, verifying that boils down to looking at the exits these firms have managed. To be sure, none of this is news to Actis, Baring or IVF. The very fact that they have struck out a different investment path wherever possible reveals that they are keenly aware of the ground realities. And the fact that their own investors are happily piling on more money into their firms (Baring’s Fund III of $550 million was oversubscribed more than three times) means that their portfolio companies aren’t the only ones excited about working with them.